Murder City - Description | W. W. Norton & Company Ltd.
“Things began as they usually did: Someone shot someone else.” So begins a chapter of this sharp, fearless collection from a master storyteller. Revisiting seventeen Chicago murder cases—including that of Belva and Beulah, two murderesses whose trials inspired the musical Chicago—Michael Lesy captures an extraordinary moment in American history, bringing to life a city where newspapers scrambled to cover the latest mayhem. 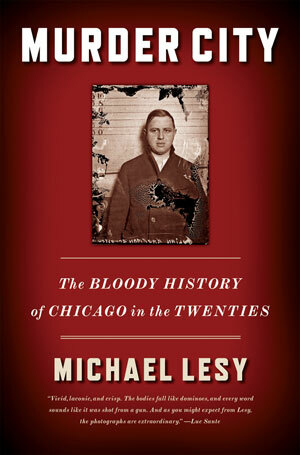 Just as Lesy’s book Wisconsin Death Trip subverted the accepted notion of the Gay Nineties, so Murder City exposes the tragedy of the Jazz Age and the tortured individuals who may be the progenitors of our modern age. Haunting views of the early twentieth century’s most significantevents flank pictures of the last remnants of the premodern world. What we ate, how we ate, and how eating changed during America’s first real food revolution, 1900–1910. Over 400 rarely or never-seen photographs of a vanished America.